Just your friendly reminder that the January Selfie Tournament finals will be tonight at about 8:30 PM. 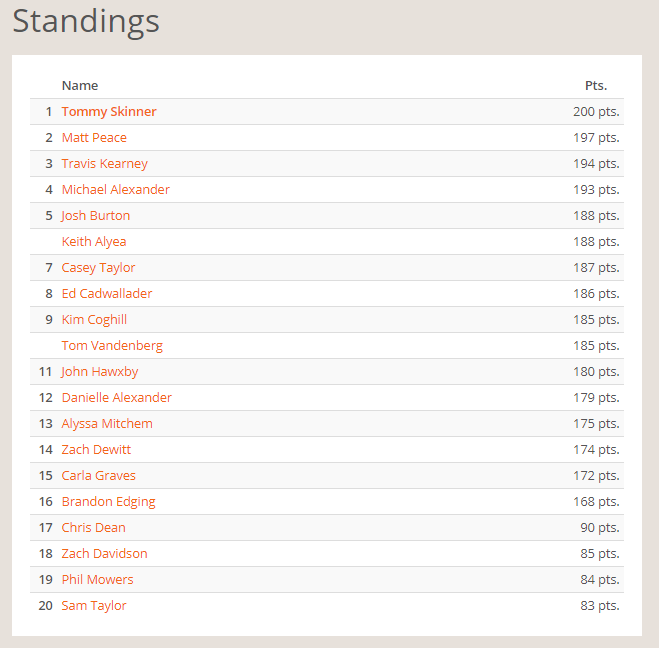 Top 8 get to play in finals, but we already know Matt Peace can’t make it and neither can Kim Coghill so that makes Tom Vandenberg the 8th seed and John Hawxby the first alternate. 4 strike tournament, 2 strikes per group. Here are the current Team League Standings as well after two weeks. This week the Region Rats and the Doom Room will face each other in a make-up match from last week having both teams play doubleheaders this week. Pindemonium Zwei will face the Doom Room, the Region Rats battle Pull & Pray, and RIP Tommy B looks to return to winning form against the Super Jackpots.